Call (740) 289-5860 to schedule a test. 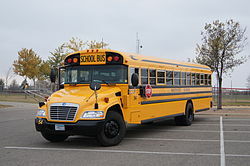 A CDL Class A truck & trailer and a Class B School Bus is available to rent. Tests will be scheduled on a first-come, first-serve basis. Staring May 1, 2018, when scheduling you must have your permit # ready and payment must be made at that time. No holding spots. Examinees must provide the following information to reserve an appointment. 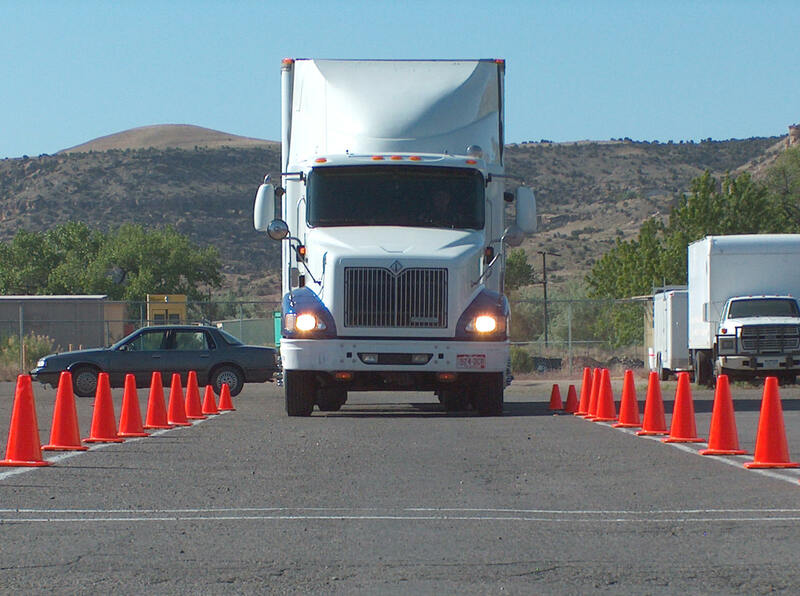 The examinee may call the CDL Testing Office to inquire about available test appointment dates/times. The examiners will probably be out testing, leave a message, and calls will be returned in the order they are received. A school district representative or employee who is sponsoring an examinee for their district may call or visit the CDL Testing Office to inquire about available appointment dates/times. The school district must provide the office with the following information to reserve and confirm the appointment. If the Pike County CTC (JVS) is closed due to inclement weather, all CDL tests will be canceled for the day. Examinees may re-schedule. If school is delayed due to inclement weather, all tests will be delayed the same amount of time. Example: One hour delay for school = One hour delay for testing. 9am appointment will be 10am. Examinees may re-schedule. An applicant for a commercial driver's license who schedules an appointment to take one or more, but not all, portions of the skills test shall be required to pay an appointment fee equal to the costs of each test scheduled, as prescribed in division (E)(1) of this section, when scheduling such an appointment. If the applicant appears at the time and location specified for the appointment and takes all the portions of the skills test during that appointment that the applicant was scheduled to take, the appointment fee shall serve as the skills test fee. If the applicant schedules an appointment to take one or more, but not all, portions of the skills test and fails to appear at the time and location specified for the appointment, no portion of the appointment fee shall be refunded. If the applicant schedules an appointment to take one or more, but not all, portions of the skills test and appears at the time and location specified for the appointment, but declines or is unable to take all portions of the skills test that the applicant was scheduled to take, no portion of the appointment fee shall be refunded. If the applicant cancels a scheduled appointment forty-eight hours or more prior to the time of the appointment time, the applicant shall not forfeit the appointment fee. Examinees must call the CDL Testing Office at 740-289-5860 to cancel the appointment. They may leave a voicemail message if during non-business hours. All presented permits must be legible, sealed, legal and valid. No person will be permitted to test with problematic or unclear documentation. Must bring license AND permit to be able to test. Vehicles must have a manufactured VIN plate that clearly shows the GVWR. Registrations will not work, paperwork from the manufacturer with GVWR is the only other proof that is permitted. Persons not having proper documentation will have to reschedule and pay another fee. Vehicle and trailer must be safe and in good working condition. Please do not use loaded trailers for testing.